Stay up-to-date with all of Wix's new products, updates, bugs fixes and more. Keep checking back to be the first to know about every update to Wix products. No results were found. Try searching again. Create a beautiful online menu for your restaurant and easily customize it. Unlike PDF or image menus, online menus look great on mobile, and are search-engine friendly. Receive instant notifications: You will get a notification as soon as an order comes in. Connect to customers: Easily contact customers by phone or email. Follow orders: See what orders are coming in and follow up on how long it takes for them to go out. 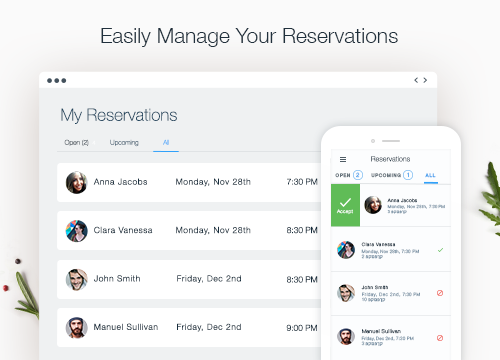 Manage reservations: Accept or decline reservations from any location. Manage dish availability: Mark dishes that are not in stock so customers know not to order them. With Auto Print (KB) you can automatically print new orders as they arrive - using any "Google Cloud" supported printer. Please note: Creating a webhook requires computer programming skills. Great news! Menus now load 3.9 seconds faster thanks to server-side rendering. Give your frequent customers a personalized online ordering experience. Once a regular customer logs in and opens the Online Restaurant ordering page, they will first see a personalized menu containing items they have previously ordered. This can help them to easily find what they want. Now you can choose to receive a phone call each time an order is either placed, not accepted or declined. This new feature is available in all languages through the Wix Restaurants dashboard. Under the "Online Ordering" tab, click "Receive Orders", then choose "Phone call". Get instant notifications about new orders by fax, email or SMS and keep track of your orders on the Wix Restaurants dashboard. 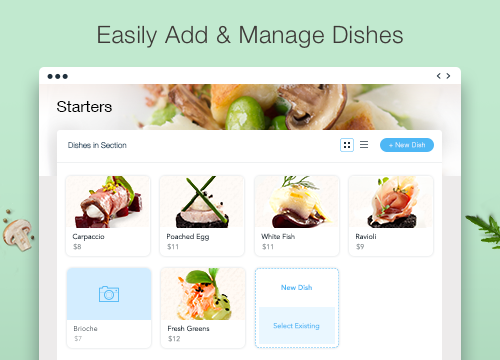 A great update for Wix Restaurants Orders users. Now let your customers tip in advance when they pay by card online. 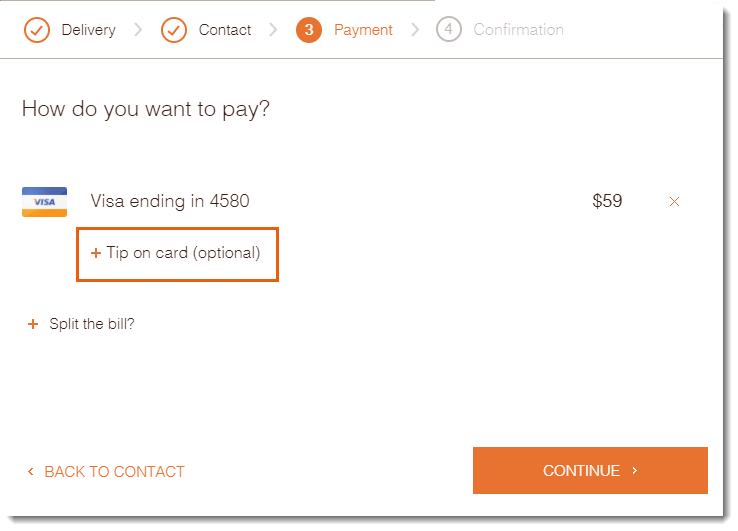 Go to the Wix Restaurants dashboard, click the "Online Ordering" tab, select "Payments" and then under "Payment Settings" check "Tip on card". At the checkout, your customers will be able to add a tip by clicking Tip on card after entering their credit card details.